With over 100 years experience in watchmaking, Hamilton combines the American spirit with Swiss components to create luxury timepieces. This men's watch teams a classic stainless steel bracelet with a distinctive and beautifully crafted skeleton dial. Powered by automatic movement, this is a sophisticated timepiece perfect for all occasions. 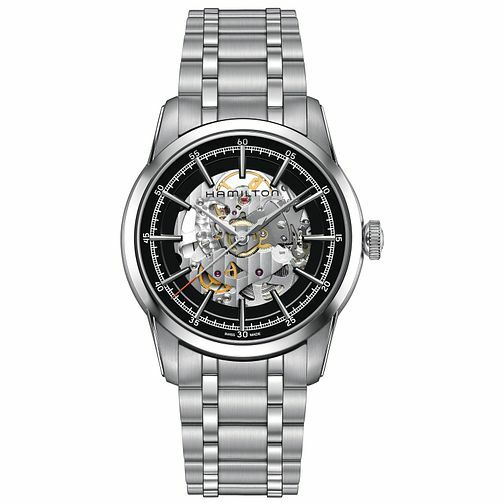 Hamilton men's stainless steel skeleton bracelet watch is rated 5.0 out of 5 by 1.